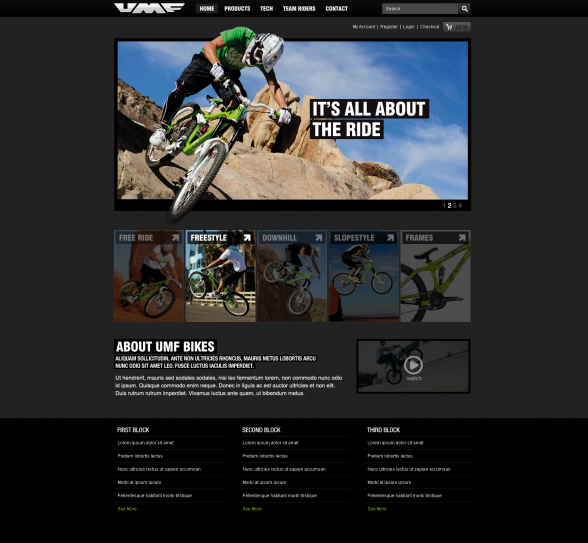 We are currently designing and developing a new site for UMF Bikes. UMF are a division of Merrida and at the forefront of BMX and MTB (Mountain Bike) technology. We are working to find a balance between a brand design and a high converting and functional ecommerce website.